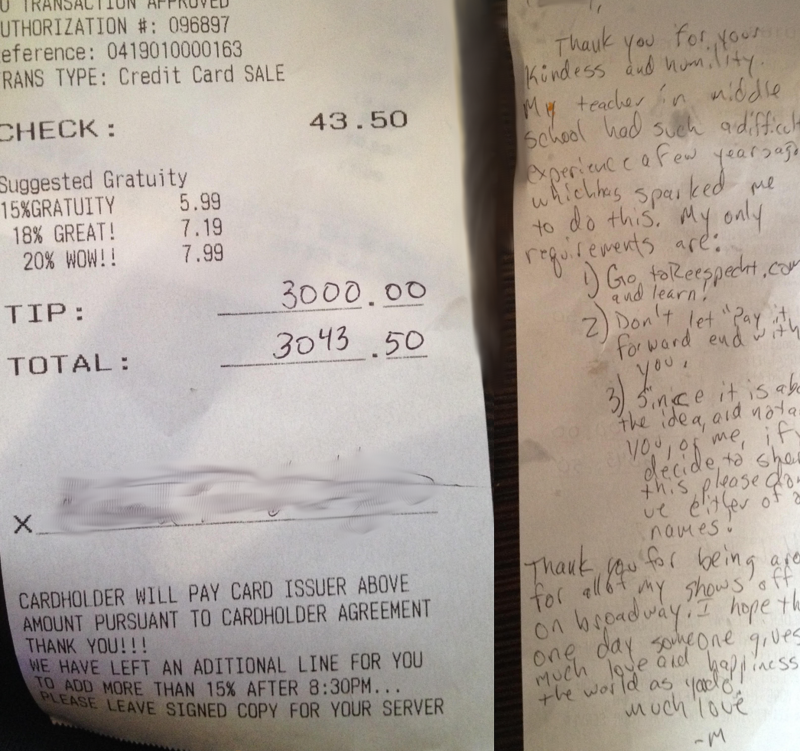 We’re all familiar with the concept of “paying it forward,” but one waitress received the tip of a lifetime all because of one little boy. 1. Go to reespecht.org and learn! The patron’s teacher was a man named Richard Specht. The “difficult experience” the note refers to is the tragic drowning death of Richard and his wife Samantha’s 22-month-old son, Rees. In the aftermath of this tragedy, the Spechts’ community came together to help the couple in their time of need but never accepted any form of payment. They have also written a children’s book on the subject of paying life’s kindesses forward; it’s called A Little Rees Specht Cultivates Kindness. All of the proceeds from this book and donations to the foundation are reinvested in the community. 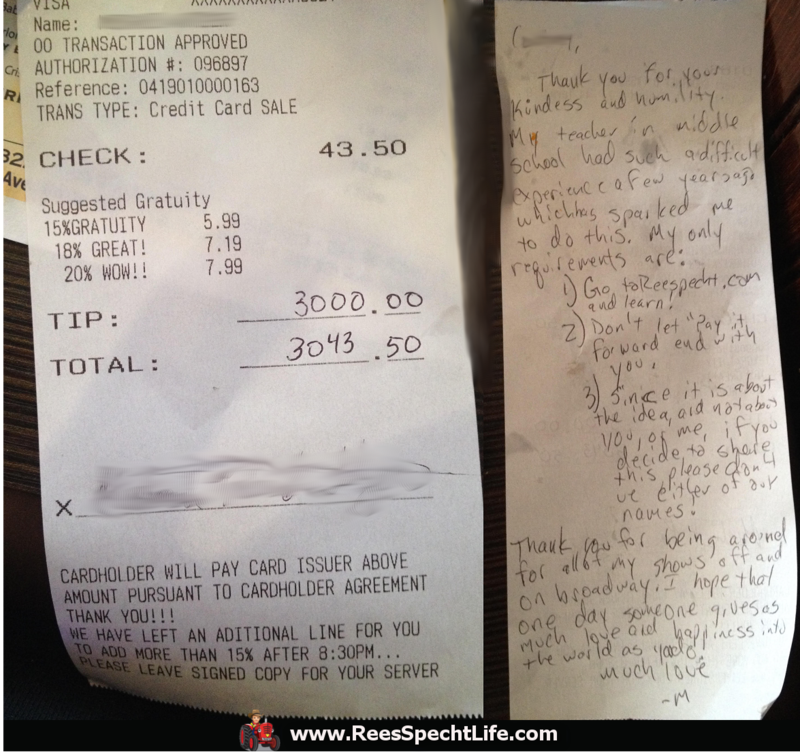 Those cards have now been distributed worldwide, and all the goodness done in little Rees’ name had extended far and wide before ending up on the tip line of that waitress’s tab. She was able to put two and two together and sent an email to Richard Specht himself, who wrote about his reaction on the foundation’s website, ReesSpechtLife.com. We’re blown away too. It’s difficult to imagine what any of us would do in the face of such a tragedy. The Spechts were able to find a little bit of light in the darkness of this terrible experience, and their lives were so touched by kindness that they wanted to touch other people’s lives too. What an incredible way to keep a little boy’s memory alive.